Ladies and gents, I have just received PCB shots of the 28nm Maxwell from the highly reliable Lee from DG Nerdy’s Story. The PCB give us a good look at the PCB of the upcoming low end Maxwell and also answer a very important question. When I posted the original leak stating that the GTX 750 (non-ti) will require no external power supply, there was still some slight disambiguation whether or not the same was true for the GTX 750 Ti as well. Now I can more or less confirm that only the GTX 750 will be connector-less while as the GTX 750 Ti will have a single 6 Pin GPU Connector. 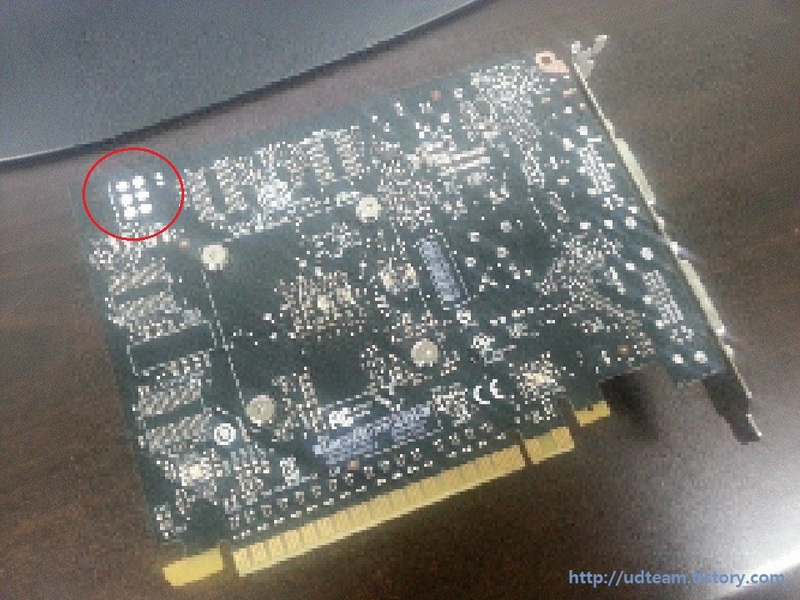 The reason is simple; I can see the 6 Pin connector entry nodes printed on the 750 Ti’s PCB. I have taken the liberty to highlight them for you. (I have no idea what is up with the resolution of the first picture). 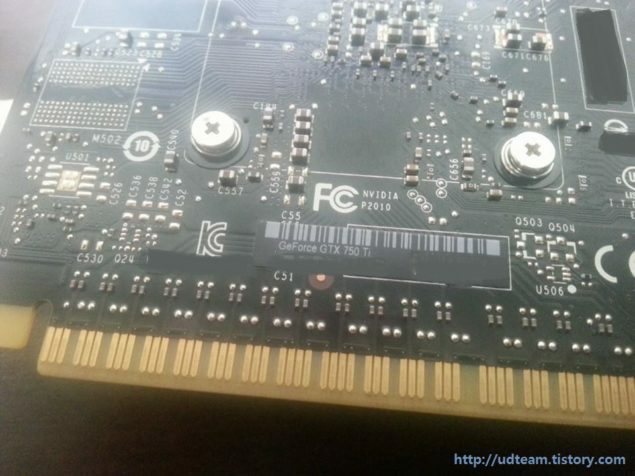 So there you go folks, the GTX 750 Ti will have a 1×6 Pin GPU Connector while as the GTX 750 will require no power connector and will work directly from the PCI-E slot. These screenshots sadly do not directly show the GM107 Core but we can see the circuitry of the processor seat at the back of the GTX 750 Ti’s PCB. As we already know from the picture leaks that the form factor of both the 28nm Maxwell GPUs is very small as well as the GPU footprint. Nvidia’s main focus this generation is not raw power, rather power efficiency. It goes without saying that when the 20nm Maxwell comes around you should see better results than even this. Maxwell will have approximately three Tiers basically, Tier One will consist of 200W+ Discrete GPUs. The lowest tier will have 2W and 3W SoC Tegra Parts and ultra low voltage GPUs. The middle tier will cover everything in between. The first GPU will of course be the GM107 and will come in both Desktop and Mobile parts..
Update: Some comments have correctly pointed out that OEMs sometimes include a connector for stability. Whether this is true for the Maxwell GTX 750 Ti or not i cannot say. The only thing i can absolutely confirm at this point is that the GTX 750 will not require a connector to function.